The idea behind CSS was to enable the differentiation of design from content. CSS is used for designing layouts, colors, fonts, animations, and more. The language helps improve accessibility of content and allows web developers to have more flexibility and control for the specifications of different design characteristics of web pages. CSS is also great because one .css file can be used for multiple pages, eliminating the need for repetition. CSS is a must-know language for anyone who wants to become a website designer, or front end developer. A comprehensive knowledge of CSS will help any prospective front end web developer land a high paying job in the industry. The demand for developers with a good understanding of CSS is increasing dramatically. 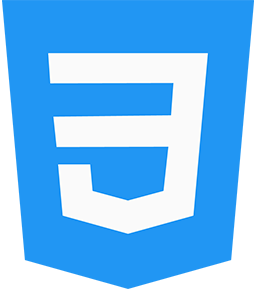 Code Immersives teaches students to write high quality, mobile friendly CSS from scratch before introducing any frameworks. We have comprehensive 9 month, accredited courses that can teach you everything you need to know to be a successful web developer. The Code Immersive Web Development Intensive program helps students develop the technical skills required to pursue the opportunities that exist in the fast-growing web programming and software development industry.